Is your home’s brick exterior in need of a makeover? Try limewashing! This tried and true technique has been used on brick exteriors for hundreds of years, and the finished product gives your home antique curb appeal. Here’s a look at the basics and some information about tackling this as a DIY project. The term “limewashing” is often used interchangeably with “whitewashing”, but the two techniques have one key difference. Whitewashing is a process that uses watered down paint to achieve that old world feel. Limewashing, on the other hand, actually uses powdered limestone to create the same effect. Limewashing has been used for centuries to add an extra layer of protection to brick structures, which is why it can add a historical appeal to your home. One of the best reasons to choose limewashing over other techniques is that it’s environmentally safe. Traditional paint can be toxic and produce fumes. Limewashing, however, is free of solvents and petrochemicals. It’s made of natural lime and pigments and has a high pH level, so it’s great for resisting fungal growth and damage from insects. Another great reason to choose limewashing when sprucing up your brick exterior is the low cost. You can make your own limewash by mixing hydrated lime with water. A 50-pound bag of hydrated lime can cost as little as $8 from your local home improvement store. You can also purchase limewashing kits that contain everything you need to get started and even specially formulated paints. These will cost you a little more, but if you’re looking for convenience they can’t be beat. Although nobody is going to tell you that painting the exterior of your home is an easy job, limewashing is about as simple as it gets. If you’re mixing your own limewash, use an 80/20 ratio of water to lime. Stir until you get a consistency like milk. First, hose down a section of the brick to clean it. The bricks should be clean and wet before applying the limewash. Then apply the limewash with a paintbrush, paint roller or paint sprayer, depending on your preference. The best part is that you can achieve the look you’re going for with only one coat. It’s best to apply limewash on overcast days; otherwise, it can dry too quickly. A slow drying time is key to setting it properly. While limewash will erode over time, it can add to the historic look of a building. If limewash gets dirty, it can’t be cleaned. However, you can easily apply another coat of limewash over the existing coat. Depending on how weathered you’d like the exterior of your home to look, you can expect to apply a fresh coat of limewash every 5-7 years or longer. 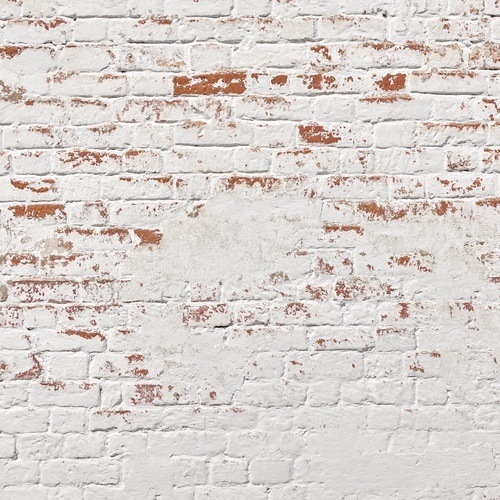 Unlike paint, which can be very difficult to remove from brick, limewash is something that can be removed with relative ease. If you grow tired of the look, the limewash can be removed with a pressure-washer or even with a stiff brush if you don’t mind using a little elbow grease. So there you have it. If you’re looking to give your brick exterior a facelift, why not try limewashing? This historic technique will produce modern results that you’re sure to love.